SouthWest Writers has reserved a table at the Balloon Museum Holiday Arts & Crafts Fair in Albuquerque on Sunday, November 16th. SWW members who want to sell their books at that table during 1.5 hour shifts at no charge must apply by email to VP Peg Herrington at peg@msn.com as soon as possible. The Storyteller’s Anthology will be sold from the center of the 6’ table. Spaces for ten SWW member authors, one at each end of the table, are available during 1.5 hour shifts: 9:00 to 10:30 a.m., 10:30 to noon, noon to 1:30 p.m., 1:30 to 3:00 p.m., and 3:00 to 4:30 p.m. 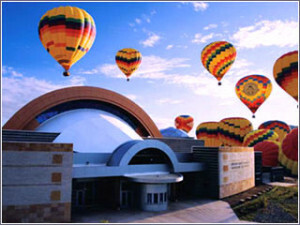 Entrance to the Balloon Museum and parking are FREE ONLY until 1:00 p.m. Member authors wishing to participate must send an email to VP Peg Herrington ASAP stating the name(s) of the book(s) you will bring and your preferred 1.5 hour shift as stated above. Email deadline for requests is midnight, Monday, November 10th. Sooner is better. Approved SWW member authors will receive email notification including their time slot. We cannot promise your preferred time will be available and names will be drawn should more than ten members apply. Join other SWW authors! We’ll have lots of fun!